Lessing’s novels are dazzling, but her stories are also beautifully-crafted. She is one of the most significant writers of the 20th century, a, bold, brilliant chronicler of women’s lives. As a very young feminist reader of The Golden Notebook and the Martha Quest books, I felt, absurdly, that she had written my life. In this collection of stories, even the shortest stories have depth and elaborate structures. Lessing writes often about the working classes. In my favorite story, “The Other Woman,” the heroine, Rose, who works at a bakery, is scornful of her mother’s accidental death: she was hit by a truck, and Rose thinks it was a silly way to die. Unhealthily obsessed with caring for her father in their basement apartment, she breaks off her engagement to a loving man. Years pass. She and her father often argue. When he says she should quit her job, Rose says she likes her independence. Independent Rose, who has no boyfriends, befriends her ex-fiance’s wife and daughter, wishing above all that she had children. When World War II breaks out, the friendship between the women intensifies. But she and her father, who reads about Hitler, continue to argue, because Rose thinks male aggression is the cause of war. I’m not interested who started it. All I know is, ordinary people don’t want war. And there’s war all the time. They make me sick if you want to know–and you men make me sick, too. If you were young enough, you’d be off like the rest of them,” she said accusingly. Rose works for a munitions factory, knowing full well that the good wages will last only until the men come home. When their house is bombed and her father dies, Rose finds the basement apartment intact; she refuses to leave. Jimmie, a volunteer, convinces her to move: they become lovers and move into an apartment. When he tells her he is married and must go home to see his family for days at a time, Rose is jealous and angry. The story ends with a bizarre twist. Sometimes Lessing writes from a male point of view. In “One off the Short List,” Graham Spence, a married journalist, is determined to have an affair with Barbara Coles, a stage designer. Graham, who has written one book, writes book reviews and freelances for radio and the BBC. He understood that he was not going to make it; that he had become–not a hack, no one could call him that–but a member of the army of people who live by their wits on the fringes of the arts. He has an assignment to interview Barbara. When he meets her at her workplace and sees that she is bound to her co-workers “by the democracy of respect for each other’s work,” he is envious and sad. But his insistence on dominating her turns into hostility towards a successful woman. Lessing and I, women of different generations, define the word “feminist” differently: she does not consider herself a feminist. But her short stories, feminist or not, are powerful. I am halfway through them. Perhaps more later. I have just now begun her _Diaries of Jane Somers_. She is very great, but (not that I mind) there is a bitterness to her paratexts and the kinds of things she says in these go some way to explaining why she insisted she was not a feminist. Maybe she saw this movement as a movement as too partisan, too much wrapped up in the selfish corruptions of the world rather than as socialist generally and also the desire to be independent of men unreal. A guess. I should read more of Lessing. As to whether she is a feminist writer, some of the definitions of “feminist writer” are very restricting. For example, some people dismiss Louisa May Alcott because she would not be a feminist by some of today’s standards but she was very much one in her time. I did not find The Golden Notebook so much feminist as confused. The structure — with the various notebooks — was deliberately confusing and the personna of the principal characters changed from notebook to notebook. I was also ambivalent about The Golden Notebook – impressed, but somewhat confused in places. But I think I need to read more of her work before I can really make a proper decision. Ellen and SilverSeason, yes, feminism means different things to different people. To me it means both women and men trying to be equal: that’s probably as simple as it gets! In an interview in The Progressive in 1999 (I was going to put this in my blog, but it didn’t really fit), Lessing said, “feminism has been turned into a religion with dogmas and churches. I certainly don’t envy men in American universities. But this phase is about to pass…. America can be a very hysterical country intellectually and very Puritanical, too.” So, yes, she hates dogma, and is not afraid to break the rules and offend “feminists”! SilverSeason and Kaggy, I love The Golden Notebook, but some of her later books do the same thing in a more conventional form. I recommend The Sweetest Dream (2001? ), which in a sense is a retelling of her earlier women’s novels. I love Lessing: what a writer! Thank you for the inspirational reminder of Lessing’s work. I must try to get a copy of the Everyman’s edition. 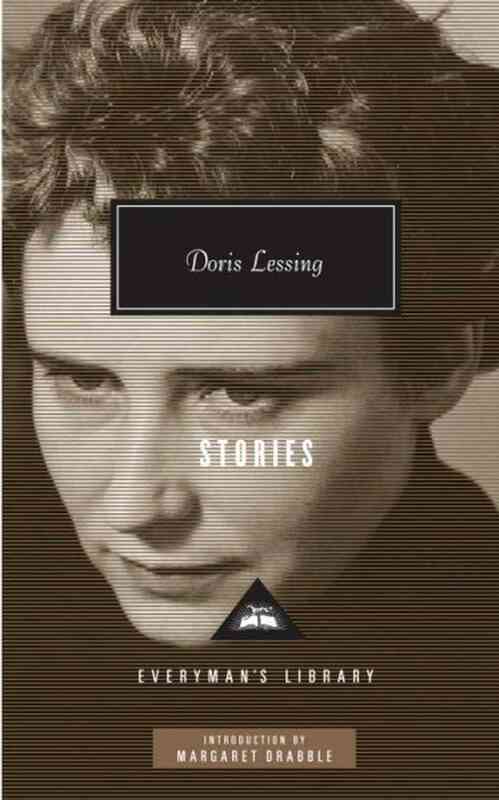 I have read The Sweetest Dream and one or two others but have not read much of Lessing’s earliest work. In 2012 I read The Cleft and I have an attractive HarperCollins release titled “on cats” originally published as Particularly Cats which I will delve into very soon thanks to your post. I do enjoy your reviews. Sandra, The Sweetest Dream is one of my favorites. The stories are very good. I, too, have a copy of Particularly Cats and haven’t gotten around to it yet. That’s high praise from Margaret Drabble indeed. Nudged my vague idea of reading these up the list considerably, as did your post. I’ve only read The Golden Notebook and some bits and pieces of journals IIRC. Certainly “not enough”! BIP, I am very impressed with the stories. I mean to reread some of my favorite novels. I liked her SF book, Mara and Dann, but apparently it wasn’t popular!